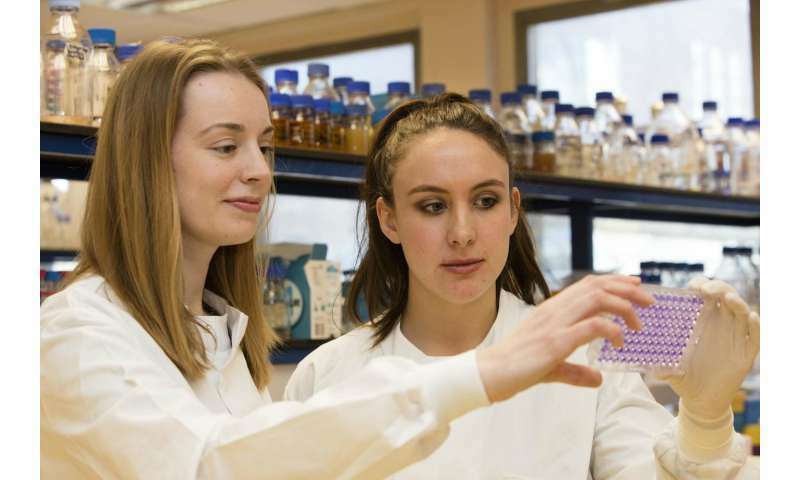 Microbiologists at Trinity College Dublin have discovered a new way to prevent bacteria from growing on medical devices such as hip replacements or heart valves implanted in the human body. The discovery is a step towards developing new preventive strategies that could have a direct impact on the recovery of patients in the immediate aftermath of a surgical operation. Medical devices are routinely used in modern medicine to prevent and treat illness and disease but their use is compromised when an accumulation of bacteria called "biofilms" attach to the device surface after it is implanted in the human body. Communities of these bacteria called "staphylococci" growing on catheters, heart valves and artificial joints avoid being killed by antibiotics and the human immune system, meaning that the removal and replacement of the medical device is usually necessary. Each incident of biofilm infection costs €50,000-€90,000 to the healthcare system. 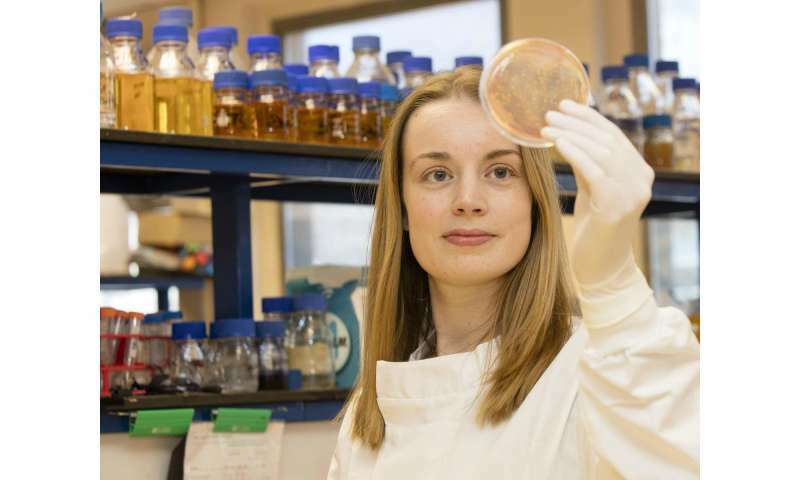 The research team led by Dr Joan Geoghegan, Assistant Professor of Microbiology at Trinity's School of Genetics and Microbiology is studying new ways to prevent medical device-related infection. A recent breakthrough published in the prestigious journal Proceedings of the National Academy of Sciences shows that it is possible to prevent communities of staphylococci from forming by targeting the linkages that hold the bacteria together. In collaboration with atomic force microscopy expert Professor Yves Dufrêne and his team at the Université Catholique de Louvain, Leanne Hays, PhD student in Trinity's Department of Microbiology, has found that it is possible to stop bacteria from attaching to surfaces and to each other using a small blocking molecule. The target of the molecule was a protein attached to the surface of the bacteria called SdrC. In laboratory experiments the blocking molecule prevented the SdrC protein from recognising other bacteria and stopped the staphylococci from growing as biofilm communities. Dr Geoghegan said: "These new findings show that it is possible to stop bacteria from building communities using molecules that specifically target proteins attached to the surface of the bacteria. This exciting breakthrough will inform the design of new, targeted approaches to prevent biofilm formation by staphylococci and reduce the incidence of medical device-related infection. "